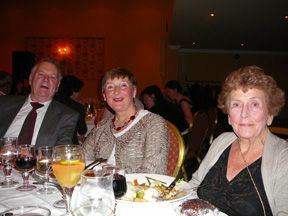 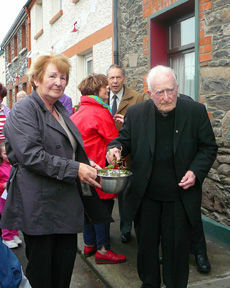 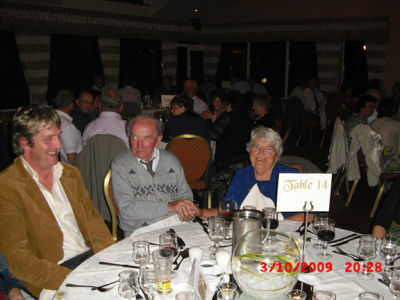 Here are some pictures of the Cottages Centenary celebrations. 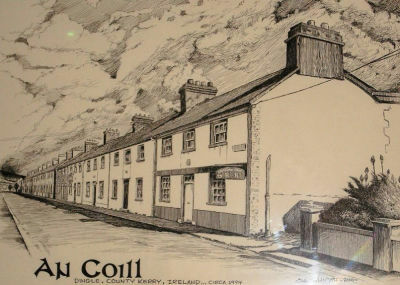 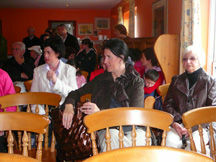 The day started out by everybody meeting at Flaherty's pub at 3.30 p.m. 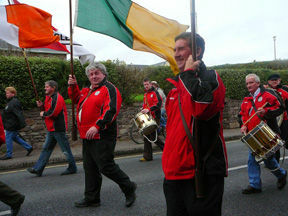 The Dingle Fife and Drum Bank struck up and looking really smart in their uniforms, lead everybody through the town to the Cottages. 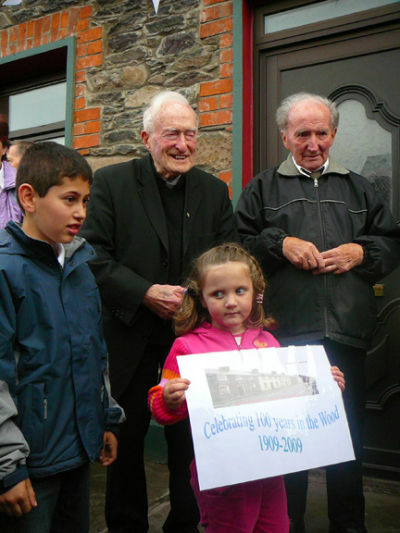 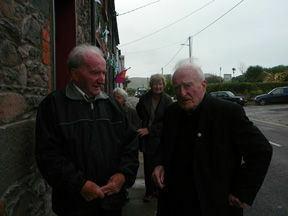 Outside the middle Cottage, our oldest resident, Padraig Lynch unveiled a specially commissioned commemorative stone which was then blessed by Father Jackie McKenna. 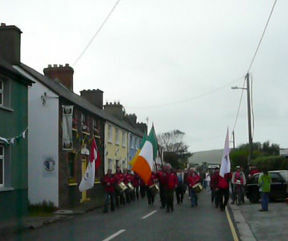 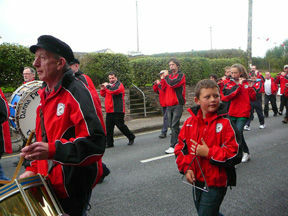 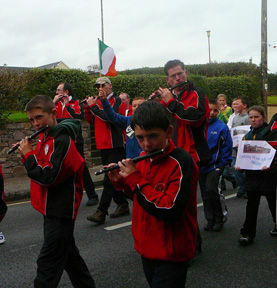 The band lead the way to Dingle Harbour Lodge where Mass was celebrated by Father McKenna, followed by tea, coffee, sandwiches and cake for the 200 who attended. 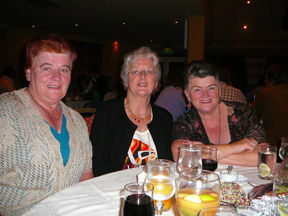 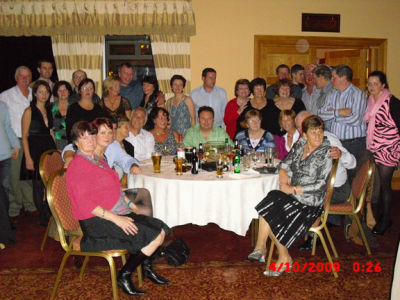 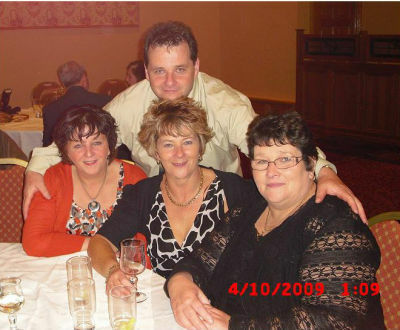 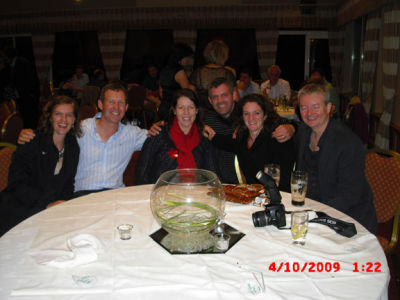 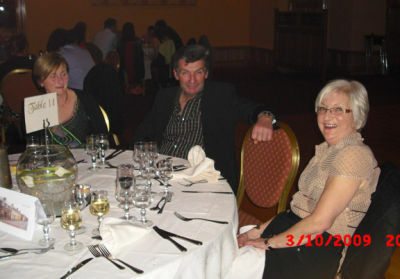 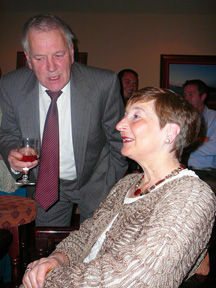 The day then continued with a wine reception and tasty meal at the Skellig Hotel followed by music and dancing to the O'Callaghan Band until early the following morning.